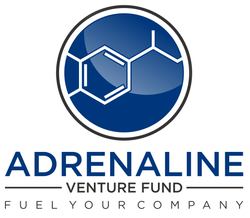 Adrenaline Venture Fund (Fund) is a Delaware Limited Liability Company (LLC) designed to enable private accredited investors to build a portfolio of venture capital investments in promising seed through early stage commercial ventures. The Fund’s structure and operating procedures allow the Fund’s general partners to work on behalf of private investors to gain substantial advantages over traditional individual “venture” investing. Membership is by invitation only and is extended to individuals who share our vision and will contribute to our process. We encourage both entrepreneurs and investors to participate with us by submitting your plan or inquiring about membership. ACA is a collectiion of accredited angel investors, North America’s most prolific early-stage investment class. The Florida Venture Forum is Florida’s largest and most prestigious statewide support organization for venture capitalists and entrepreneurs. The official legal and accounting firm of the Adrenaline Venture Funds. Read about the study that launched the Tamiami Family of Angel Funds, a consensus strategic outcome of the 2008 SW Florida Regional Angel Fund Assessment. The Tamiami Angel Funds were a catalyst and a precursor to Adrenaline Venture Fund I, LLC. and a Partner at Fifth Avenue Advisors (“FAA”). Compass Advisory Group, part of the FAA family of companies, is an Merger & Acquisition Consultancy (M&A) that completes business transactions and corporate restructurings for middle market companies. Prior, he co-founded By-Products Interactive, an electronic trading, market research and publishing company; and founded Benchmark Solutions, a supply chain consulting company. He attended the University of Wisconsin as an undergrad and obtained an MBA in Finance and Accounting from Northwestern University Kellogg School of Management. Tim started his career with Arthur Andersen in Chicago, Illinois. By-Laws Committee for Florida Gulf Coast University Foundation, and a Member of the FGCU Lutgert College of Business Advisory Council. He is a Board Member for Fusion Pointe and Florida Venture Forum. He also serves as a member of the Organizing Committee for the Southwest Florida Chapter of BioFlorida. Tim is a Selection Committee Member for Florida Venture Forum’s Early Stage Venture Capital Conference, and an Investment Advisory Board Member for the Florida Institute of Commercialization of Public Research (FICPR). He has volunteered frequently for Junior Achievement of Southwest Florida as an Instructor for the CEO Academy. Tim is a former Director of the Economic Development Council of Collier County, the Florida Economic Development Council, Southwest Florida Regional Technology Partnership, and former Chairman of Gulf Coast Venture Forum. ​”The State of Angel Investing in Florida”, Miami Funding Post, USFSP “Not Your Average Speakers Series”, RETIS French Delegation, 16th Annual BioFlorida Conference, Spark Growth Economic Summit, Charlotte County Annual Energy Options Conference, SBDC Professional Development Conference, FGCU Entrepreneurial Law School, Leadership Class of Bonita Chamber of Commerce, Florida Institute of Certified Public Accountants, and ITFlorida Awards Gala.Mr. Cartwright resides in Naples with his wife and three children. He is a softball coach, a soccer coach, and an active member of First Baptist Church of Naples. ​Rob has extensive experience in all aspects of growing large and small companies, including strategic and tactical planning in highly competitive technology markets, financial and operations management, building/leading high performance R&D and product development teams, global sales/channel development and all elements of financing (debt and equity) for both public and private companies including considerable M&A experience. Rob has founded, grown, and been an active investor, director and advisor to numerous tech companies, serving on Audit, Governance and Comp/HR committees for public companies.